THANK YOU TO ALL THE PLAYERS WHO HAVE REGISTERED TO PLAY SUMMER NETBALL WITH KEDRON LIONS. YOU ARE REQUIRED TO ATTEND COMPULSORY GRADING. JUNIORS WILL BE HELD ON SATURDAY 13 SEPTEMBER AND SENIORS ON SUNDAY 14 SEPTEMBER. 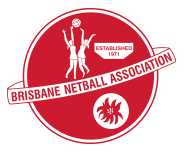 GRADING WILL BE HELD AT BRISBANE NETBALL ASSOCIATION, RODE RD, CHERMSIDE (courts 1-4). Check below for age group times. All new junior players joining Kedron Lions are required to provide a copy of their birth certificate, either via email to enquiries.klnetball@gmail.com or by showing it at the registration table on grading day. Players are required to sign in at the registration table. Players need to bring a water bottle and snack. Registration fees due 10 September.